Huawei is one company actually inclined on providing exceptional gadgets without putting a lot of stress on affordability. And the latest Honor 6 Plus may this time break the myth may take the company to lime light along with the likes of Samsung and Sony. The IPS LCD panel is more of a given with the Honor 6 Plus added into the scheme of things. The 5.5 inch screen is ably backed up by the 1080p Full HD resolution which translates into a pixel density of 401 ppi. This is quite a significant figure which makes the screen look considerably sharp and vibrant. The IPS panel comes clean with most of the viewing angles being covered with ease. Multi-touch facility is rendered and the 16M color combinations fit in rather perfectly. 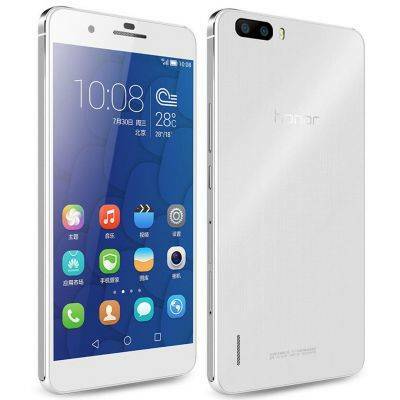 · Huawei Honor 6 Plus comes with Android v4.4.2 KitKat OS. · It has 1.8 GHz Octa Core Processor and 3 GB RAM. · The screen is of 5.5 Inches with Full HD Display. · Rear camera is of 8 MP and Front Camera is of 8 MP . · It has Both 3G and 4G connectivity. · The Phone comes with FM Radio. · It is powered by Non-Removable Li-po 3600 mAh standard battery with Up to 23 hours Talktime. The Elife S7 sports a 5 inch Super AMOLED screen with Full HD (1920×1080 pixels) resolution, translating into a pixel density count of 441ppi. This handset is the slimmest one around at 5.5 mm. OS featured is Android Lollipop v5.0 with the Amigo UI v3.0 sitting atop. Battery is a standard non-removable 2750mAh unit. Other exciting features include 3G support in addition to Wi-Fi Connectivity and micro-USB v2.0. The Elife S7 houses all the sensors in Accelerometer, Compass, Proximity and the Gyro. GPS functionality is available in addition to the FM Radio. This handset will be made available in Gold, White and Black colored variants. 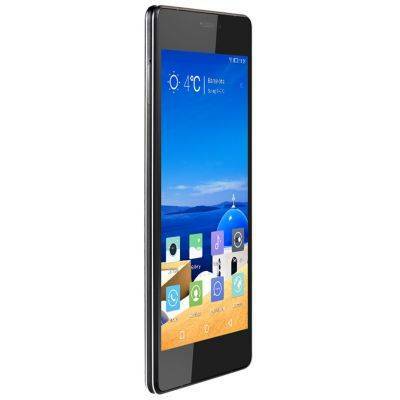 · Gionee Elife S7 comes with Android v5.0 Lollipop OS. · It has 1.7 GHz Octa Core Processor and 2 GB RAM. · The screen is of 5.2 Inches with Full HD Display. · Rear camera is of 13 MP and Front Camera is of 8 MP . · It has Dual SIM. · It is powered by Non-Removable Li-ion 2750 mAh standard battery. The HTC Desire 826 features a Qualcomm Snapdragon 615 processor which is an Octa-core 64 bit version. It is an upgrade from the quad-core version found in Desire 820. This is an ideal strategy to use the 64-bit Android 5.0 Lollipop that it runs. The device has an Adreno 405 GPU that handles the graphic-intensive activities quite well. Additionally, there is 2 GB of RAM that should perform your tasks like a breeze. On the hardware front, the device comes with 16 GB of on-board storage, further expandable by up to 128 GB, and a suite of connectivity options. The 826 comes with Android Lollipop OS out of the box. It also has HTC’s Sense UI interlaced with the OS. The Sense UI makes any Lollipop related designs and add-ons look pretty neat. It also features recent apps screen, the notification dropdown, and lock screen, along with minor changes across the board. The Sense UI has been evolving over the years and it handles the Android OS with smooth precision. 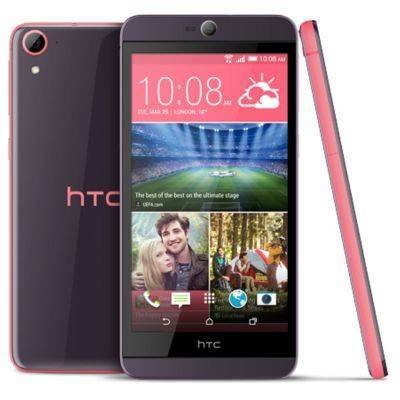 · HTC Desire 826 comes with Android v5.0 Lollipop OS. · It has 1.6 GHz Octa Core Processor and 2 GB RAM. · Rear camera is of 13 MP and Front Camera is of 13 MP . · It is a Dual SIM Mobile Phone (GSM and GSM) with Dual Standby. The Samsung Galaxy A7 features a metallic chassis which is certainly an aspect to look forward to. In terms of physicality and thickness, the Galaxy A7 measures 6.3mm which is pretty slim for a mid-range Smartphone. This handset weighs 141g and sports the optional dual-SIM slots. One major highlight is the availability of the SIM card slot which can also be used as the micro-SD slot. The Galaxy A7 sports a Super AMOLED panel with 5.5 inches as the screen size. Over 16M color combinations are supported by this panel. Pixel density count for the Galaxy A7 is 401ppi with full HD or 1080p display resolution. Multi-touch facility is rendered in addition to the Corning Gorilla Glass 4 Protection. 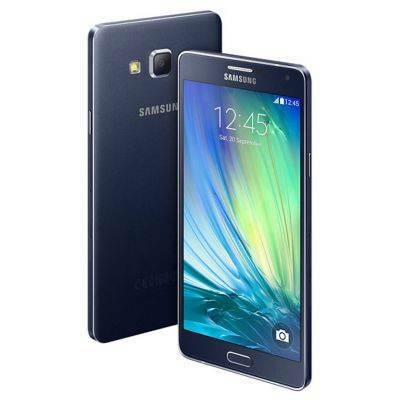 · Samsung Galaxy A7 comes with Android v4.4 KitKat OS. · Rear camera is of 13 MP and Front Camera is of 5 MP . The K3 Note features a 5.5 Inch screen, boasting of the Full HD or 1080p resolution. The featured IPS LCD console also supports multi-touch besides a pixel density count of 401ppi. In terms of physicality, the K3 Note weighs 150g and comes with a distinctive bump at the rear. The yellow chassis looks vibrant and measures 7.60mm in terms of thickness. Apart from the design elements, this Smartphone features the DragonTrail Glass, lending scratch-resistance to the screen. In terms of OS, the K3 Note runs Android KitKat v4.4.4, straight out of the box. Powering the handset is a 3000mAh battery unit. Other notable specs include 3G and 4G LTE connectivity besides Dual-SIM compatibility and the availability of the FM Radio. · Lenovo K3 Note comes with Android v5.0 Lollipop OS. · It is a Dual SIM Mobile Phone (GSM and G SM) with Dual Standby. · It is powered by Li-ion 3000 mAh standard battery with Up to 18 hours Talktime. 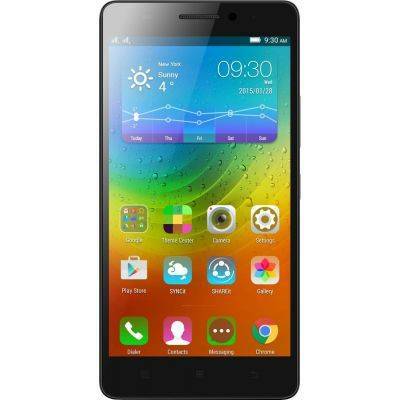 · Lenovo K3 Note SAR Value at the Head is 1.590 W/Kg. At the Body it is 0.688 W/Kg.